It is now a criminal offence for Russian citizens not to declare their foreign passports or permanent residence permits. The political crackdown in Russia has begun to affect Russian citizens who hold foreign as well as Russian passports. Last month the first group of dual nationality citizens was fined for not complying with a new law, and one person is already facing criminal charges for failing to declare his status. Putin’s administration may apparently be keen on attracting Russians from abroad, but other policies signal the opposite. The day after Putin’s speech, leading Russian newspaper Kommersant reported that 43,000 Russians had been fined for presenting themselves to the immigration authorities as holders of foreign passports after the deadline, or for making mistakes in their registration papers. And just four days later, the first criminal charge against a dual national who refused to register was filed in Russia. A 51-year-old citizen of Russia and Estonia was detained at a checkpoint on the Estonian-Russian border by the Russian Federal Security Service (FSB) as he was leaving for Estonia by car. The law that took effect in August of this year criminalises the failure of Russian citizens to declare their foreign passports or permanent residence permits. All Russians residing in Russia who fall into this category were to have registered with the Russian Federal Migration Service (FMS) by October 4 2014, and failure to comply would result in a 200,000-rouble fine (equivalent to £2,081) or 400 hours of community service. Missing the deadline or making mistakes in registration forms result in administrative penalties and a smaller fine. Yet the law neither specifies what types of residence permits must be declared, nor does it outline what Russians living abroad have to do and how they can register. And many of the people who are affected are those same high-skilled compatriots Putin spoke of in his speech. 'The law is not there for us to explain, the law is there for citizens to follow!' barked an FMS officer at Georgy, who holds a Russian passport and an American student visa. He and his wife went to their local FMS office to enquire about their status this summer before departing to California for Georgy’s graduate course of study. They ended up submitting their registration forms to the Federal Migration Service, but it remains unclear whether the forms were processed, and whether the law, in fact, applies to holders of student visas. Rhetoric among political elites indeed suggests that the law is another government attempt to isolate the country from foreign influence, this time targeting Russians whose political loyalties may lie beyond Russia’s borders. Andrey Lugovoy, the State Duma deputy who initiated the law, has warned that Russia 'finds itself in an aggressive international environment, so the government must know about dual citizenship' and that a list of dual citizens can 'help [Russian] security services in case of an emergency.' Lugovoy is a former KGB officer wanted in Britain in connection with the death of former Russian security services officer Alexander Litvinenko. Migration law expert Olga Gulina of the Institute on Migration Policy questions the adequacy of criminal prosecution as a punishment for failure to declare dual citizenship in Russia. 'It’s hard to see how withholding information about citizenship can harm or threaten the social, legal, political order of the country and its citizens,' she says. According to Gulina, no other countries currently have similar measures in place. 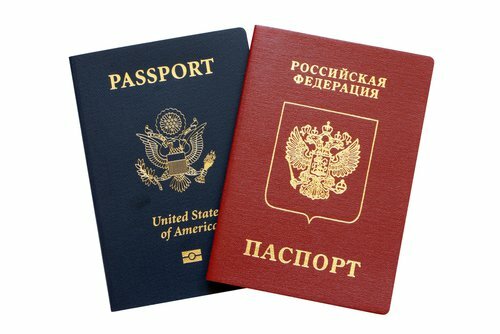 Until recently, the only limitation regarding citizenship in Russia was that civil servants must not have dual citizenship. Since the new law on registration has come into effect, however, the Department of Justice has initiated a discussion on prohibiting dual citizens from working as notaries. Additionally, a bill was passed in October, which limits ownership of Russian media assets by foreign or dual national citizens to 20 percent by 2017. Many Russians with close connections abroad feel that the atmosphere in Russia is increasingly isolationist and hostile towards the outside world. Irina, who teaches at a graduate school in Moscow after earning her PhD from the University of Virginia, has come to view her American passport as a ticket to safety. 'As paradoxical as it sounds, my American citizenship is one of the reasons I’m still here. It gives me a sense of freedom. If something goes wrong, I can leave,' she says. But what, exactly, can go wrong? The answer to this question cannot be found in any legislation, nor can it be gathered from statements made by Russian officials who have raced to hammer out increasingly restrictive policies. Ultimately, the future of Russia’s citizens does not depend on the reach of its institutions or the letter of the law. Today, Russia is driven by other concerns, and its elites will continue to fill empty laws with whatever meanings best meet their vision.